Masergy, a leading provider of hybrid networking, managed security and cloud communications solutions, has once again been named a Visionary in the Gartner Magic Quadrant for Network Services, Global. The company’s innovative Hybrid Networking portfolio accelerates digital transformation with customized solutions that combine Software Defined-Virtual Private Networks (SD-VPNs), SD-WAN, managed network functions, direct cloud connectivity and real-time analytics and service control. 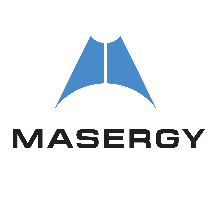 Masergy’s innovative software-defined platform, customizable solutions, and superior customer experience have yielded a six-year track record of industry leading Net Promoter Scores (NPS®), currently scoring a 74 in 2017. 1Gartner “Magic Quadrant for Network Service, Global” by Danellie Young, Katja Ruud, Bjarne Munch, Takeshi Ikeda, Neil Rickard, Lisa Pierce. February 27, 2018.